Apple just announced two new iPads that are not only some of the fastest mobile devices in existence, but also overhaul the old-and-tried iPad design that was generally left unchanged for years. Gone is the home button, enlarged is the screen, and the slate as a whole has been thinned-down to ludicrous extent to achieve a super-sleek footprint. Design aside, the new iPads are truly hardware beasts in the most sincere definition of the word: powered by the Apple A12X Bionic chip, which is pushing the limits of the already super-fast A12 even further, the new slates are rivaling most notebooks out there in raw performance. But how do the new slates fare against its rivals from another makers, the Samsung Galaxy Tab S4 and the Google Pixel Slate? While the iPads might be in a league of their own as far as performance goes, we should consider the package as a whole and compare the new devices pound for pound, which is exactly what our specs comparisons are designed to do. 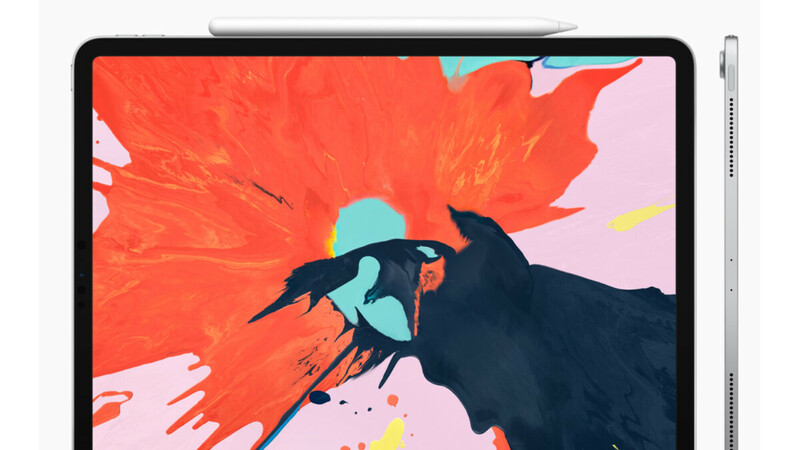 I don't want to sound fanboyistic but I don't think any other pure-tablet stands a chance against the new iPad Pros. High pricing is probably the only major thing the new iPads lose at. The pixel slate can run not only Android apps, but Steam, and Steam VR programs as well. Plus web apps. The Pixel slate can even run full blown Linux programs, and now Windows programs as well. The Pixel slate is superior to the overpriced iPad by a mile. The Pixel Slate is laggy as hell. It isn’t even superior to the low-end iPad, let alone these Pros. So is speed all you care about? Products that tend to do more, usually are slower. Slower doesn't make it worse and faster isnt always better. Yes iPhones and iPads are better at speed, but they are not better in mostly everything else and those things actually matter. Like being able to charge a 4000mah battery, faster than your smaller battery taking 3 hours. How about even in a caged battery, my device won't allow down because of it. How about my phone has never died with 20%/30% battery left. What about it not taking the best low light pictures, has terrible OIS compare to the galaxy. How about why Apple can't put Beats headphones in the box. Why can't they include needed adapter? Removing the Jack? How only finally recording video with stereo sound. You are the same guys who say, I dont want to pay for features I dont plan tonise like with Samsung phones. Makes perfect since. But you also rather pay the same price as if you had them? The reason cheap cars are cheaper is because it offers a lot less than luxury ones. So would it make since for a fully loaded Camry, to cost the same as 7 series BMW? No! So why is it ok for a ohone. But all that matters is speed and sales? Yes applaud things that offer you zero benefit vs what does. Yes the XR as an example will be quite fast, considering it's an $800 phone, pushing a resolution found on a $100 phone. So if the A12 is as great as Apple claims it is, then let it push some QHD screens and see what happens. If you had a car with a V14 engine, wouldn't you want to take it too a track and see what you can do? Or would you rather sit in traffic and do nothing? Do you actually just take your iPhone and install apps and sit their opening and closing them to see how fast you can do it? I mean is that all it's good for? I too prefer Andeoid on my phone and iOS in the iPad. Especially for splitscren apps. But now that the Note and S have a "desktop mode" the iPad is no longer .y goto. how come in the specs comparison they put the max amount for the ipad storage, but put the minimum amount for the slate and others? trying to puff up the ipad? got. And 10" vs 12". When Apple shows have smaller ones more comparable. The 12" is simply too big vs the Surface. Tab S4 clearly wins for value, even if it is limited by Android. You have a really, really odd definition of value. Just like some have a really odd definition of value when it comes to the iPad. The pixel slate is superior to the new iPad. Especially when it can run a lot more apps from a lot more platforms. Like Steam, including Steam VR, Chrome Web apps, Linux apps, and naturally Android apps as well. But not only that the slate will be able to run full blown Windows programs as well. So the Pixel slate is superior to the overpriced iPad. And how do you define limited? Atvmeast the Tan comes with a pen. You dont have to pay $129 for it. The Tab uses an industry standard resolution, which means apps will scale properly. The Tab allows for multiple accounts on one device. TheYab also supports mice and keyboard input, both via USB and Bluetooth. Oh and it also has a desktop mode where you can scale apps all the way up to 4K when attached to a displayport TV. And I can run pretty much most Android apps in this mode and have them all winnowing like a real PC. How exactly is that limited? Oh and I have access to file storage with unlimited storage. No oud required. Can the iPad Donald that? Which one is more limited? Maybe you were being sarcastic? Android and Windows have no limitation, while iOS and Mac OS are veryimited in comparison. Yet they cost more. Come on man just be fair, not fan. I'm always trying to run away from apple but this new ipad is ridiculously great .. apple did a great job here .. but i still don't know if there is 3.5 mm jack ! Android tablets really should have the premium lines as the phones. Actually look at the pixel slate. Dowsnt one of the Galaxy tablets have a dual glass design? Lmao, Techie and Sgodsell, you don’t get the point, he’s saying “premium”, which part of that word didn’t you understand? The tablet at home is used only by the kids. I don't see a real reason to pay $1000+ for something which can break it on the floor so I prefer a cheaper Android tablet with a good cover and can be replaced easily in 2-3 years. This isn't for your kids. This is a Pro unit, designed for photographers, videographers and such. Of course, you can buy one to watch youtube and play fruit ninja but it's like buying a Ferrari to go visit your grandma that lives 1 block away. Pixel Slate looks nice but Chrome OS? Nope, just nope.